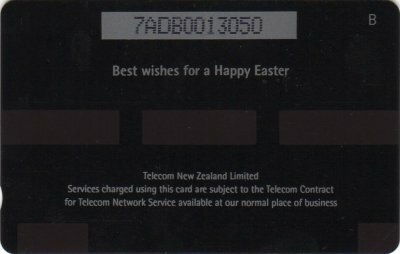 This card was available as a Greeting Card, illustrated below, with the Phonecard inserted. 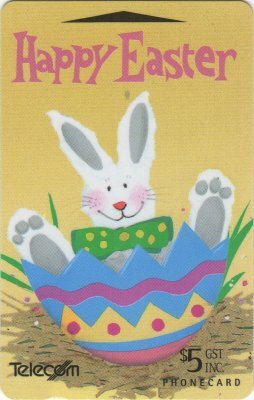 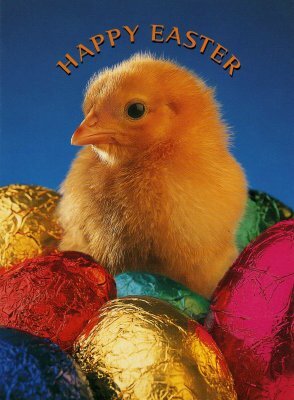 The card was originally designed with the bunny and the egg. 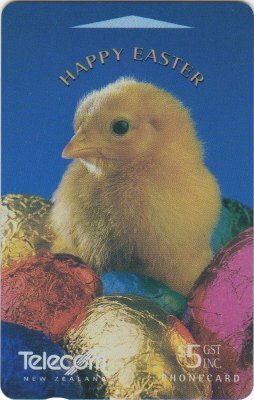 The cards were produced, but at the last moment, the design was rejected, so the whole batch of cards were overprinted with the chicken design.